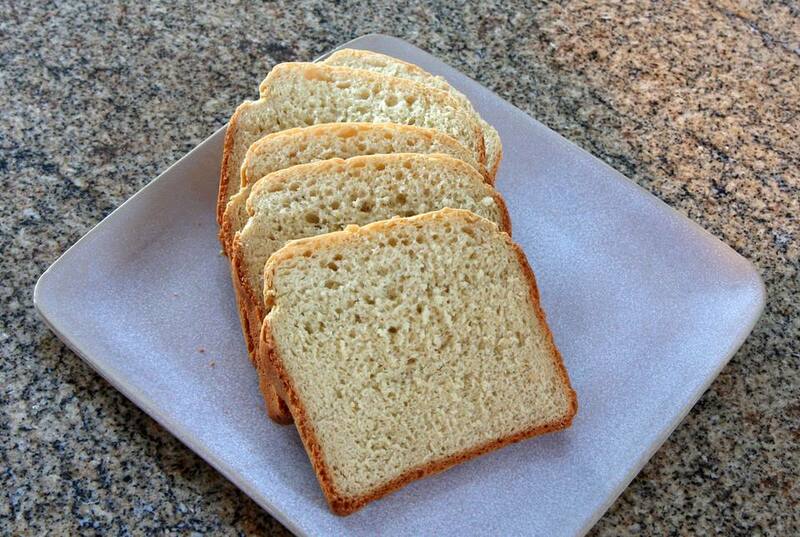 This simple bread machine white bread recipe comes through with a pleasant, chewy texture. It's delicious as toast for breakfast, or use it to make great sandwiches, grilled or not. This white bread loaf doesn't have many air holes or bubbles, but the flavor and chewiness are wonderful. We make this bread on a rapid, or quick cycle, but it could be made on the regular cycle with, a little less yeast - about 2 teaspoons. Add all of the ingredients to your bread machine pan in the order recommended by your bread machine manufacturer. Use the quick or rapid setting and medium crust; push start. Tip: When your bread machine has been kneading for a few minutes, check the dough. If it seems too stiff, add a little bit of water and continue checking until it seems soft enough. If too wet, add more flour in small amounts until it seems to be soft yet not sticky.